Electronic manufacturing services of any quality should have certain traits. For example, in the modern world they need to be effective at delivering to industries with high demand. This will require having a fast turn-around in terms of manufacturing. It also means that not only must the turn around on electronics production be speedy, but there needs to be high quality end products as well. Additionally, the proper certifications and other qualifications should be obtained by the service. FastSMT.com is what’s required to get a perfect storm of all of these traits. FastSMT specializes in responding instantly to manufacturing needs for electronic assembly, and they can do it in high volume. They’ve been doing this for well over a decade after all, so they have their techniques down to a precision level. The turn-around time for consigned material kits and other services is your choice of 1, 2 or 3 days. Quick Turn PCB (Printed Circuit Board) Assembly– FastSMT.com can order and bring in PCBs and other stock material in just 3 days, and deliver your product in just 5 days. Flying Probe Test -A 24 hour test development for testing of printed circuit assemblies is done at the same time as quick response assembly for a low set up cost. 5σ – 6σ Processing– Five and six sigma are processed high-mix with only 200 Defects per Million opportunities. Conformal Coating – Conformal coating is used to protect electronic circuitry against water chemicals and other potentially damaging agents. Electronics Layout and Design – Computerized design can aid in reducing engineering costs, helping with PCB support, and reverse engineering components. NASA Soldering– NASA soldering certification requires 40 hours of training using NASA processes that were honed for space exploration. In general, having services like soldering done by professionals trained at NASA can be a real boon to any business. Requiring high value electronics. After all, there are few situations that are more extreme than space exploration as far as putting stress on electronic equipment. If a piece of electronics can survive the rigors of hard vacuum or the intense heat of re-entry, then the technique should serve to secure electronics used in any other situation that you could possibly need them for, as an example. A service like conformal coating is often crucial for making sure electronics aren’t damaged as well, and other places that aren’t FastSMT.com may not use as rigorous a method for ensuring such protections as they do. 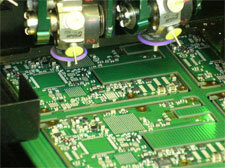 With all of these services offered, FastSMT.com is the way to go for your electronic manufacturing needs. After all, time is money and if other services take even a day or two longer to complete their services then you could lose a gigantic amount of money as a result. Contact the representatives at FastSMT.com today to get started, they are eager to talk to you about getting your needs met in a fast and quality manner that is a head above the other options.